I cannot guarantee that the information included in the external links is accurate but I have no reason to doubt any of them. Of note: The Halifax bombers used by 138 Sqdn were modified and the mid turret removed to create more space – the full crew was kept as one “Air Gunner” was actually the despatcher, however it did leave the aircraft underarmed. On 2 June 1944 – Halifax Mk V LL307 (NF-J) of 138 Squadron took off from RAF Tempsford carrying three agents to be dropped over Belgium. 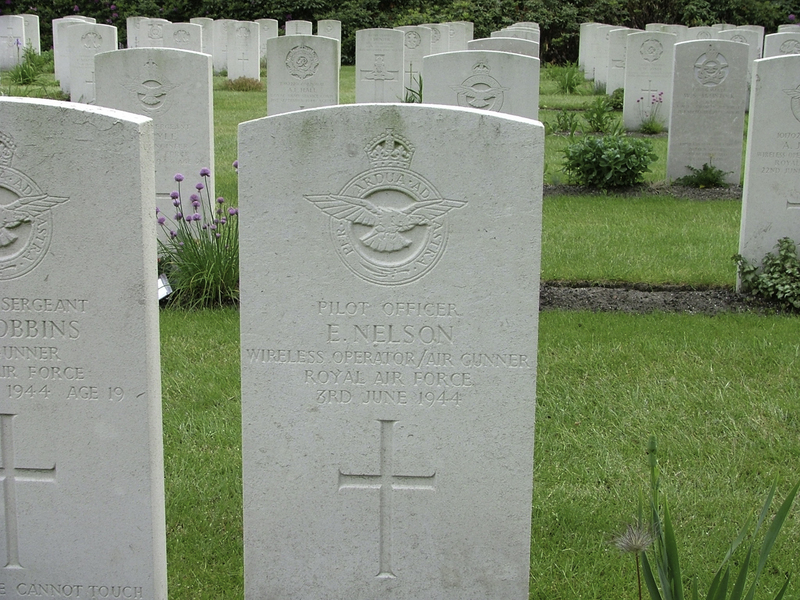 They were shot down and crashed near Stavenisse, Tholen, Holland. 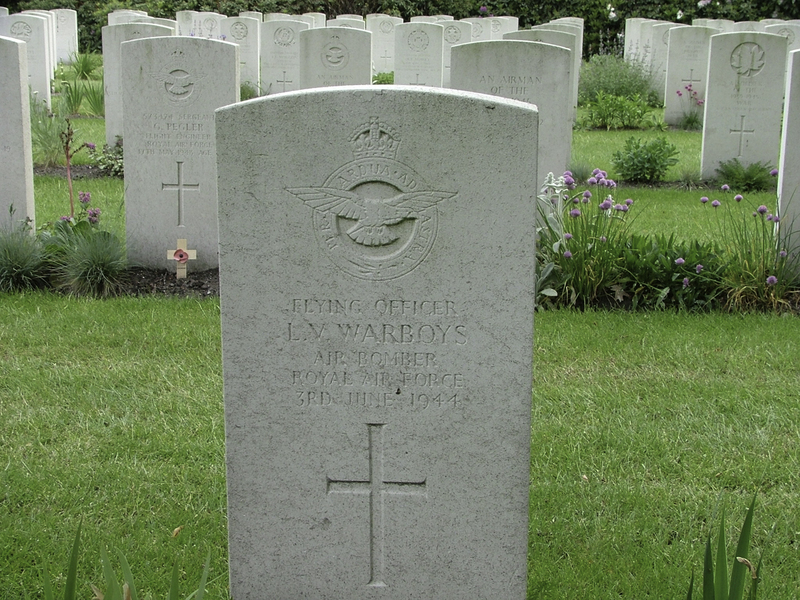 [Flight Sergeant] Pilot Officer 183617, Royal Air Force Volunteer Reserve. W.Op./Air Gnr. 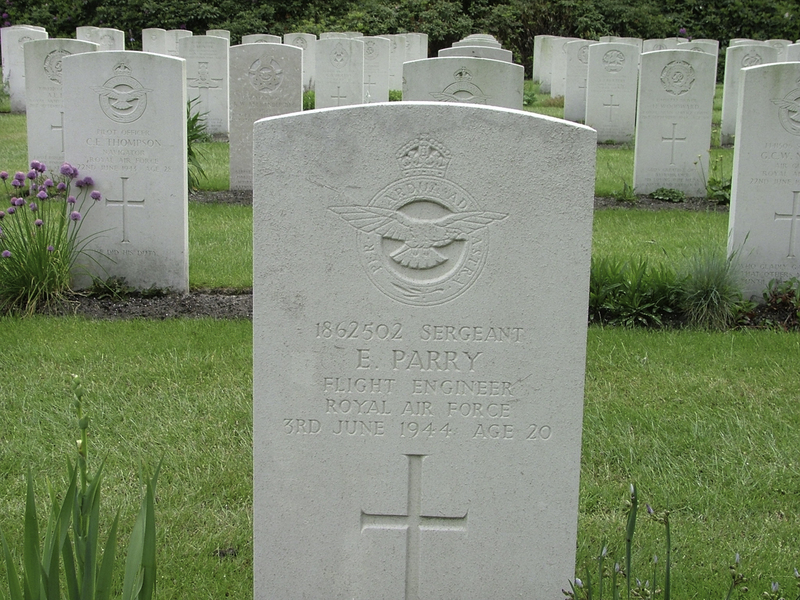 Died on Saturday 3rd June 1944. 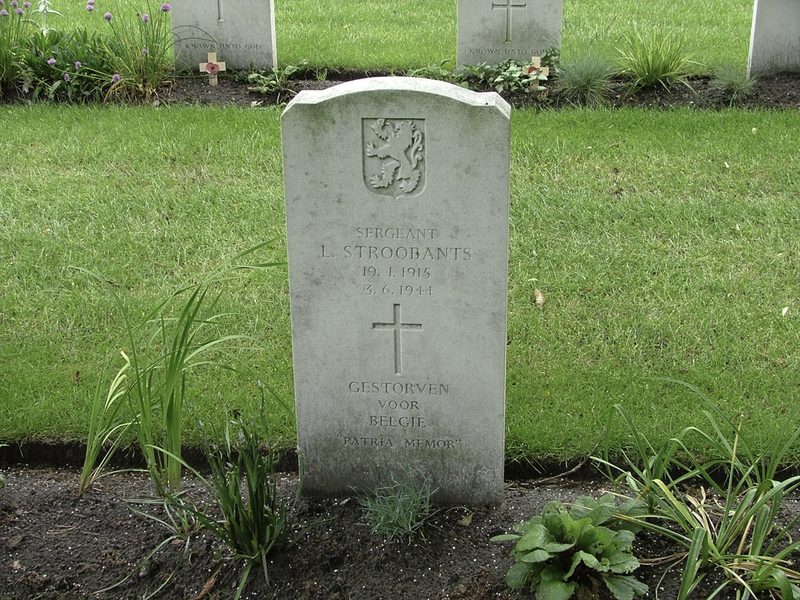 Buried in BERGEN-OP-ZOOM WAR CEMETERY, Noord-Brabant, Netherlands. Collective grave 24. A. 2-10. Sergeant 1862502, Royal Air Force Volunteer Reserve. Flt. Engr. Died on Saturday 3rd June 1944. Age 20. Son of John Owen Parry, and of Elizabeth Parry, of Upper Bangor, Caernarvonshire. 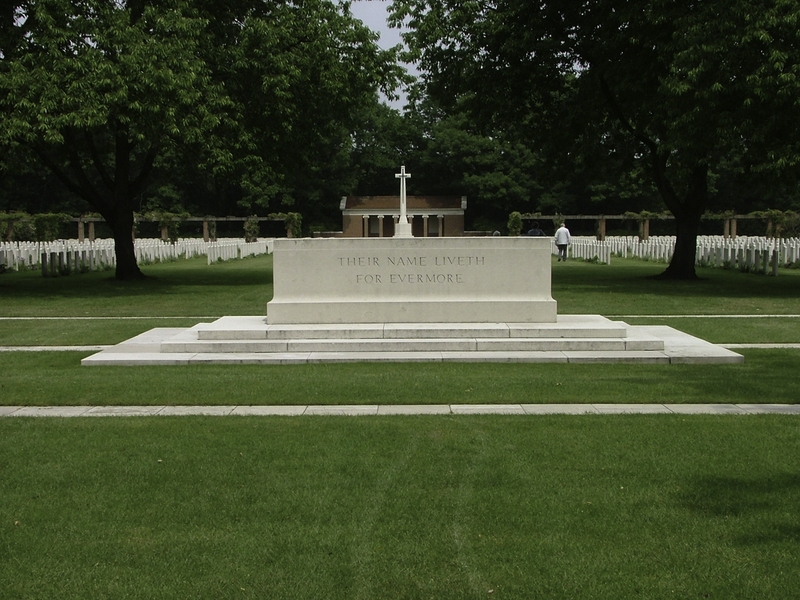 Buried in BERGEN-OP-ZOOM WAR CEMETERY, Noord-Brabant, Netherlands. Collective grave 24. A. 2-10. Flying Officer , Royal Air Force Volunteer Reserve. Nav. 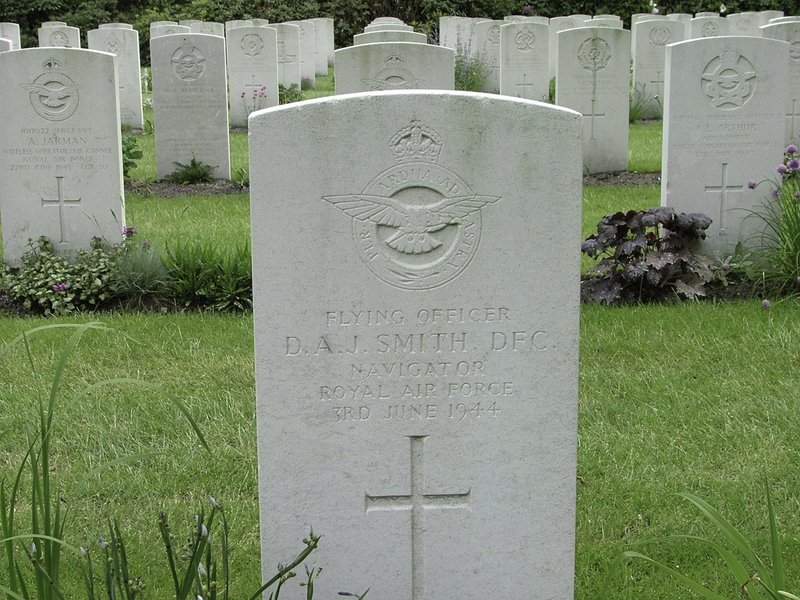 Died on Saturday 3rd June 1944. Husband of Elsa Smith. Awarded the Distinguished Flying Cross (DFC). 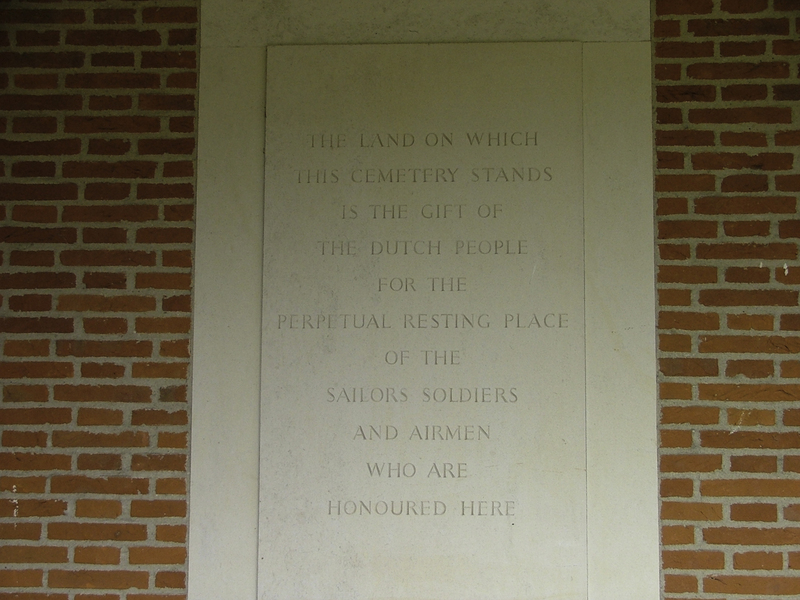 Buried in BERGEN-OP-ZOOM WAR CEMETERY, Noord-Brabant, Netherlands. Collective grave 24. A. 2-10. 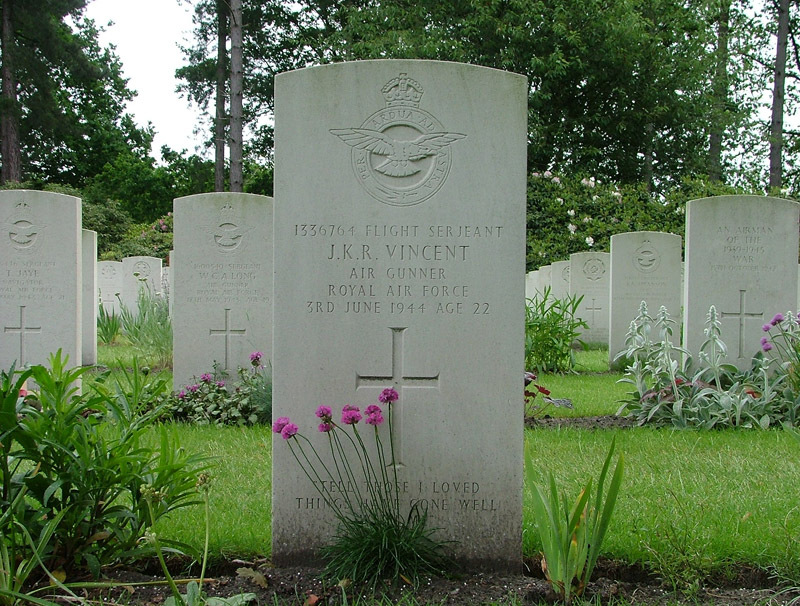 Flight Lieutenant 168842, Royal Air Force Volunteer Reserve. Pilot. Died on Saturday 3rd June 1944. Age 31. Son of David Daniel and Charlotte Thomas; husband of Rose Hannah Thomas. 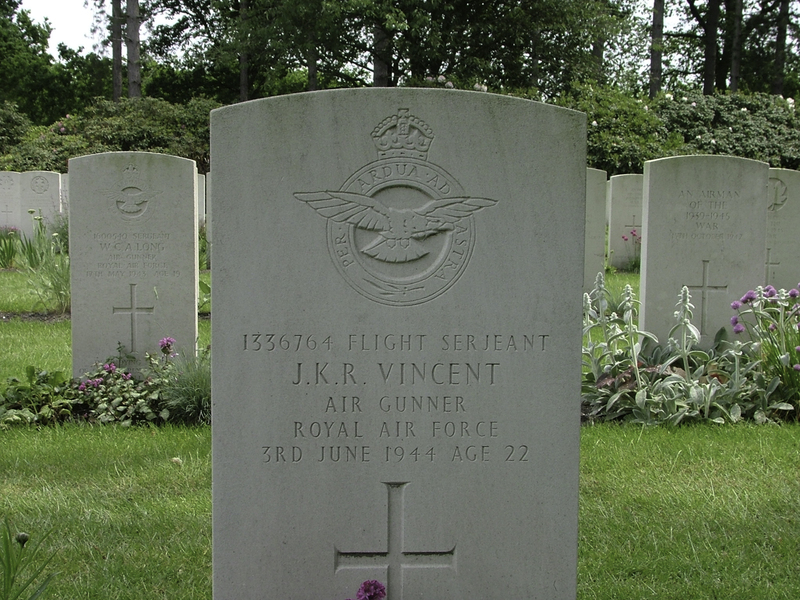 Buried in BERGEN-OP-ZOOM WAR CEMETERY, Noord-Brabant, Netherlands. Collective grave 24. A. 2-10. Sergeant 2209015, Royal Air Force Volunteer Reserve. Died on Saturday 3rd June 1944. 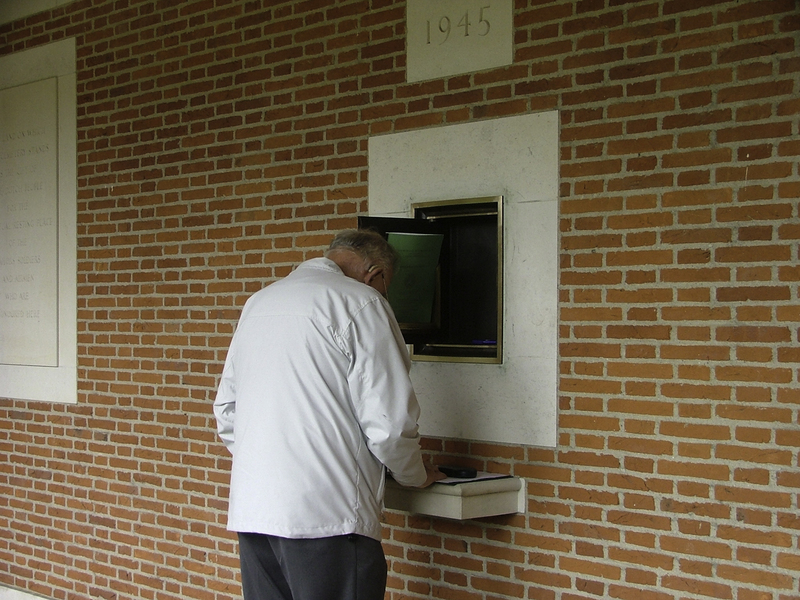 Buried in BERGEN-OP-ZOOM WAR CEMETERY, Noord-Brabant, Netherlands. Collective grave 24. A. 2-10. Flight Sergeant 1336764, Royal Air Force Volunteer Reserve. Air Gnr. 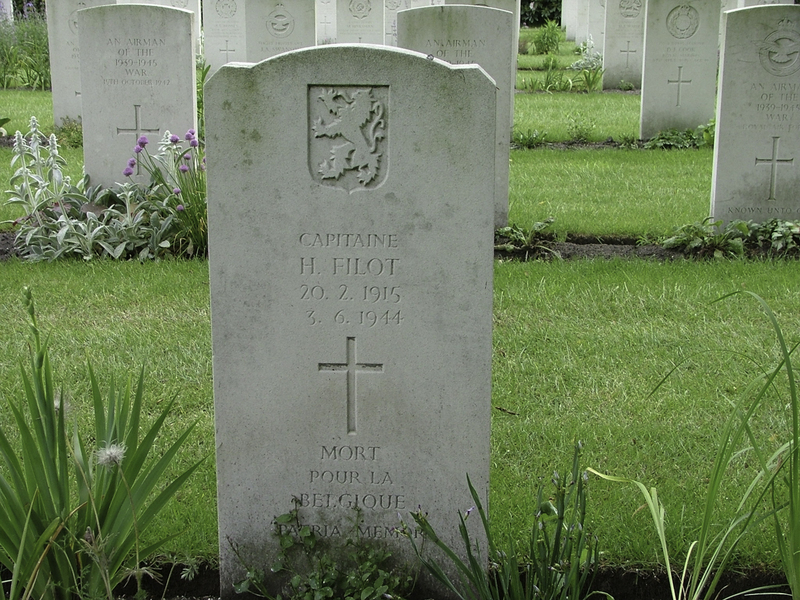 Died on Saturday 3rd June 1944. Age 22. 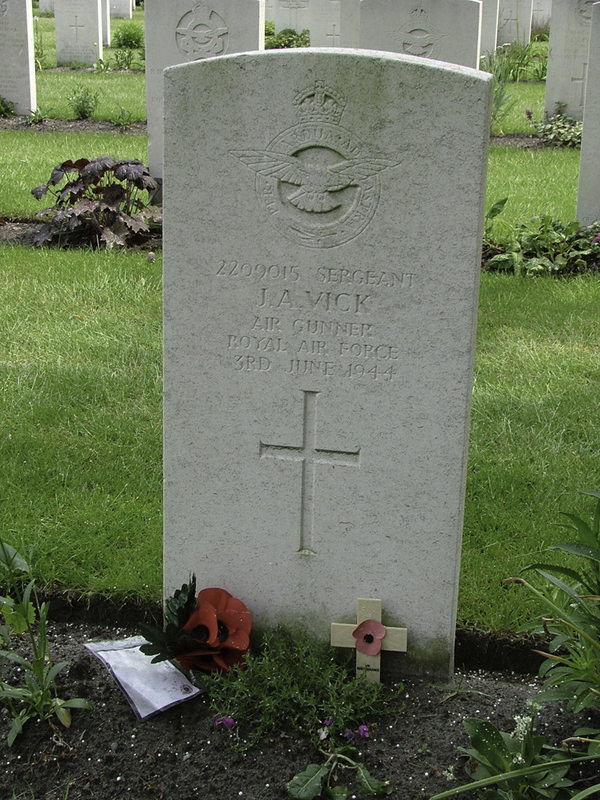 Son of Dr. Leslie Jack Vincent, and of Marguerite (Rita) Vincent, of Norbury, Surrey; husband of Margaret Lewis (formerly Vincent) of Skegness, Lincolnshire. 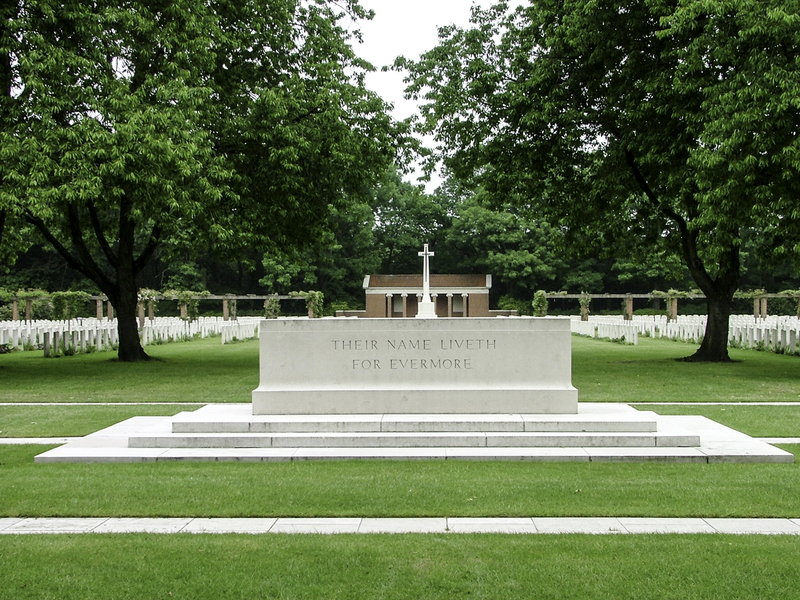 Buried in BERGEN-OP-ZOOM WAR CEMETERY, Noord-Brabant, Netherlands. Collective grave 24. A. 2-10.. Flying Officer 131987, Royal Air Force Volunteer Reserve. Air Bomber. 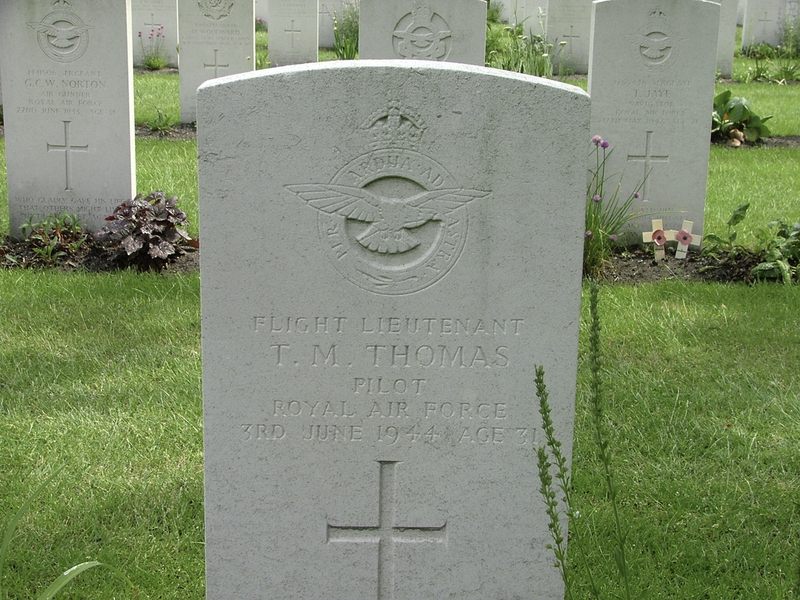 Died on Saturday 3rd June 1944. 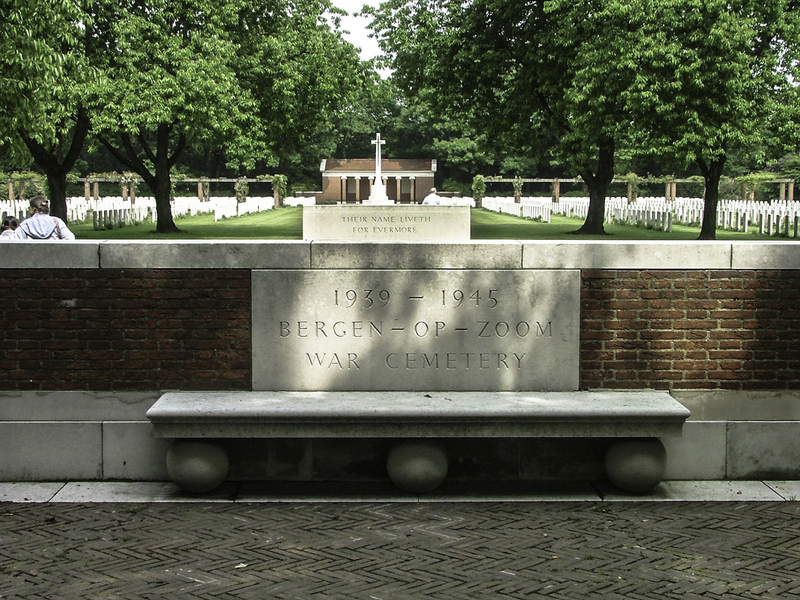 Buried in BERGEN-OP-ZOOM WAR CEMETERY, Noord-Brabant, Netherlands. Collective grave 24. A. 2-10.. Sergeant. SOE Agent. 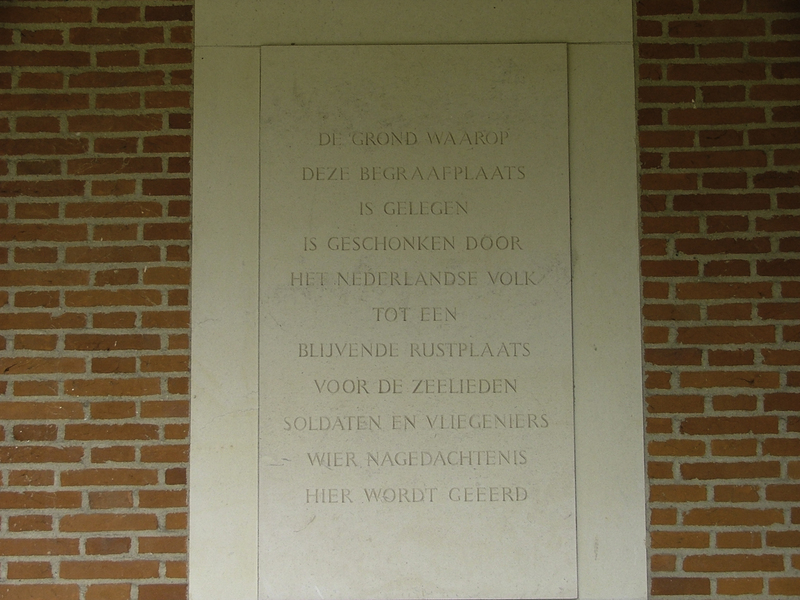 Buried in BERGEN-OP-ZOOM WAR CEMETERY, Noord-Brabant, Netherlands. Collective grave 24. A. 2-10. Agent SOE. Survived crash. Captured but survived war. You can get a translation of this via Google, but it is quite hard work to decipher. 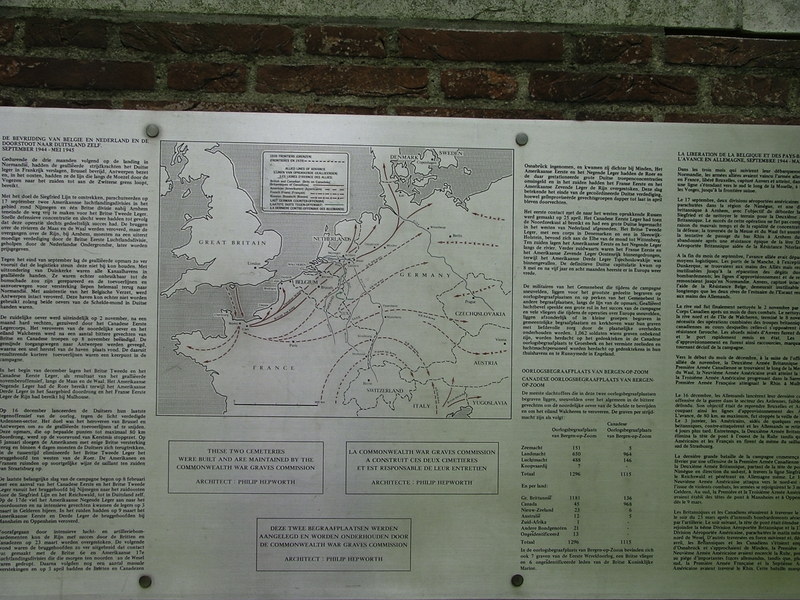 Worth it though as M Gasereel went through a lot from the time of his capture to when he was liberated. I will try to get a full English translation in due course. There is also a document The Belgian Connection which I cannot get to translate but with my limited French seems to give a full account of M Gasereels capture. After the war Gaston Masereel and Johns mother exchanged letters. 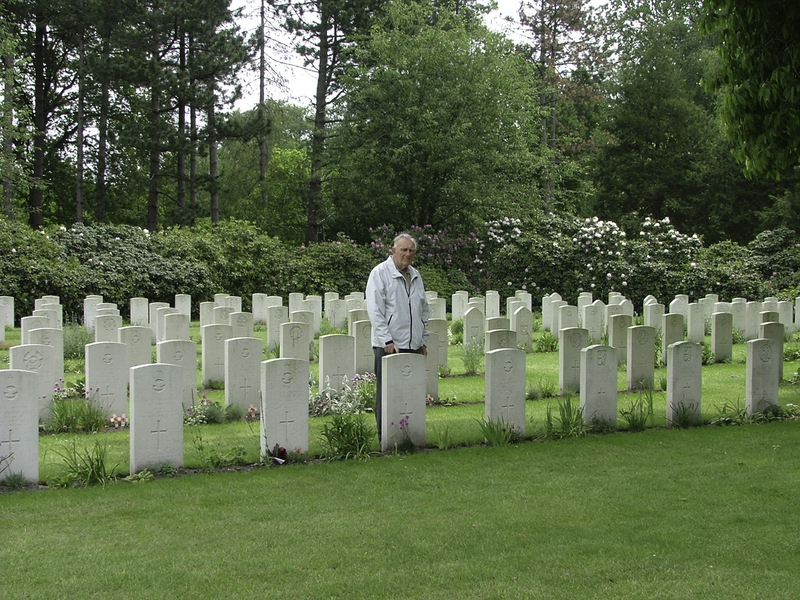 On 3 June 2004 we made a visit to the cemetery. 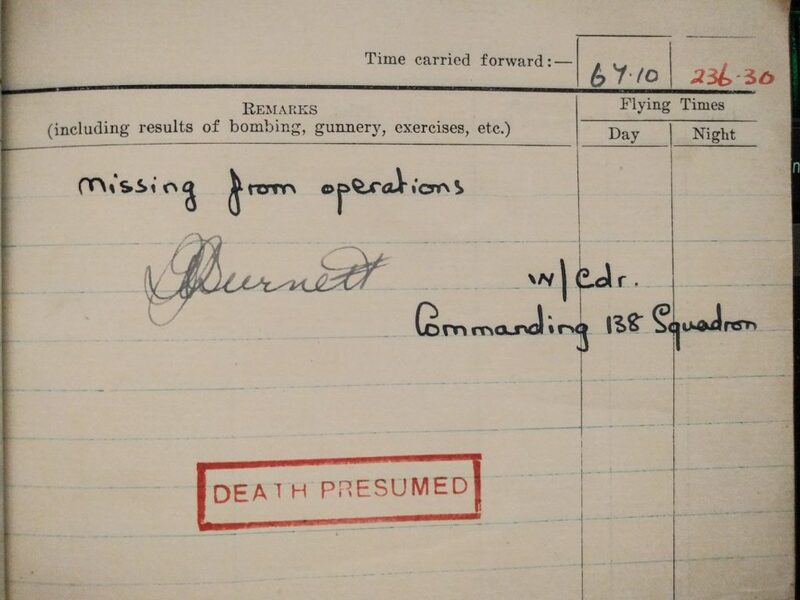 Unfortunately we don’t have a picture of the crew or aircraft that were lost on 3 June 1944. 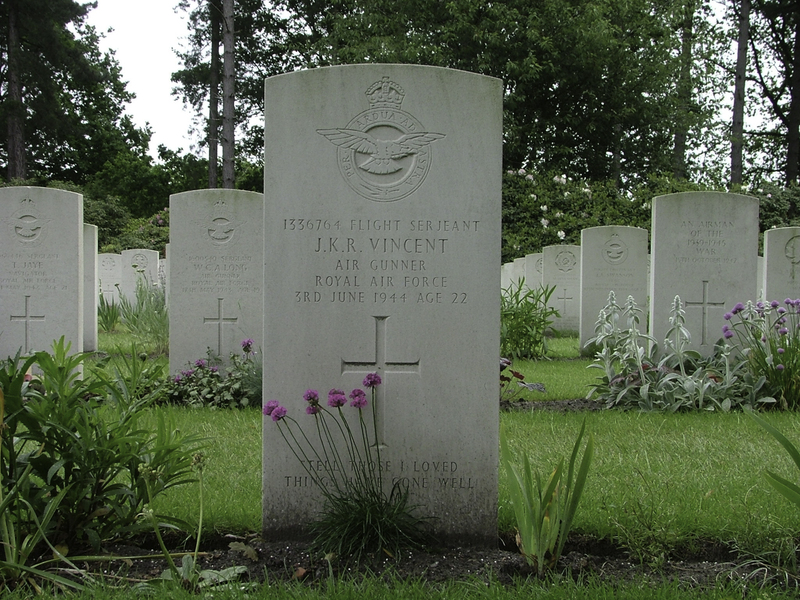 He was shot down and killed on 24 Dec 1944. 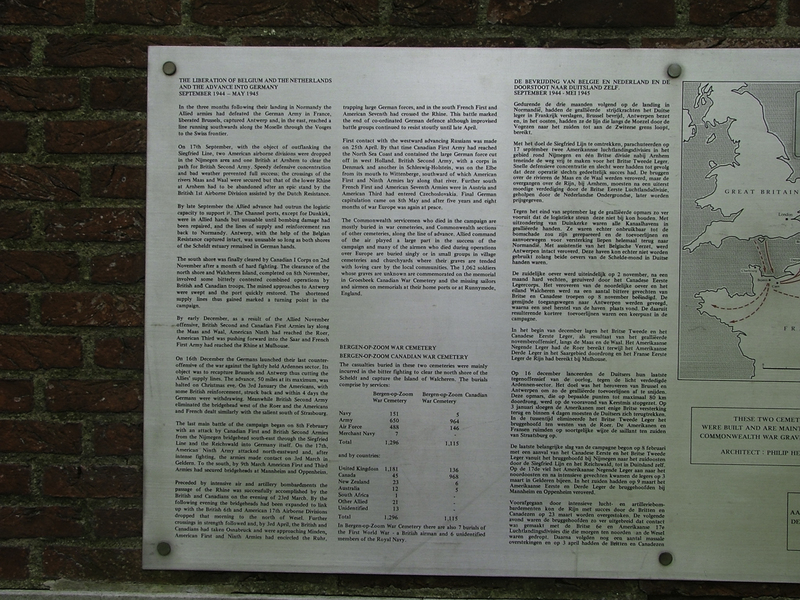 Mystery of missing war aviators remains in dutch. I do have a very literal translation somewhere – when I find it I’ll include it. This is a work in progress and will be added to as I gather more information.